So...early this morning my mother, Maddox, Mallory (my aunt), and Harrison (her son), went to a few garage sales in search of treasures. Unfortunately, no real treasures were found, but it was still nice getting out of the house and spending time with family. After garage saling we grabbed lunch at a Mexican restaurant near my Aunt's house. The service was horrendous but the food was good. A steak burrito later, we were back in the car and on our way home. 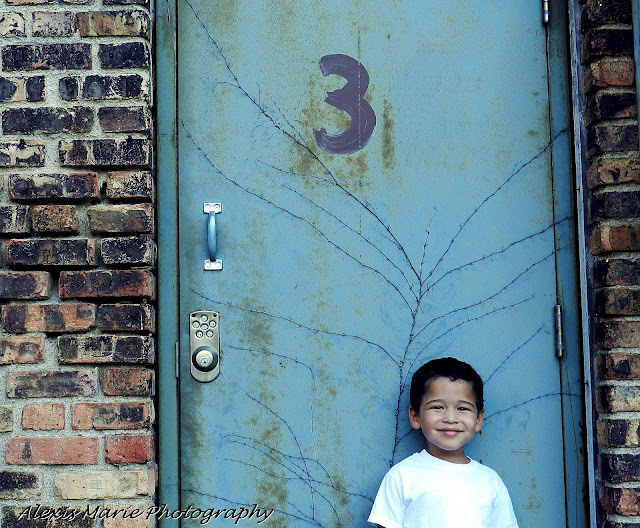 We walked around downtown Lasalle & I think I captured some pretty good shots of my little guy. Maddox cooperated wonderfully and the weather and lighting were perfect! Talk about a trifecta! They have exactly what I need and typically for a bargain.